Postcard US-3612556 to the Netherlands shows a flock of white ibis probes the grassflat to unearth a meal of crustaceans. These birds gather together at dusk in showy, spectacular roosts in the Everglades, Florida. 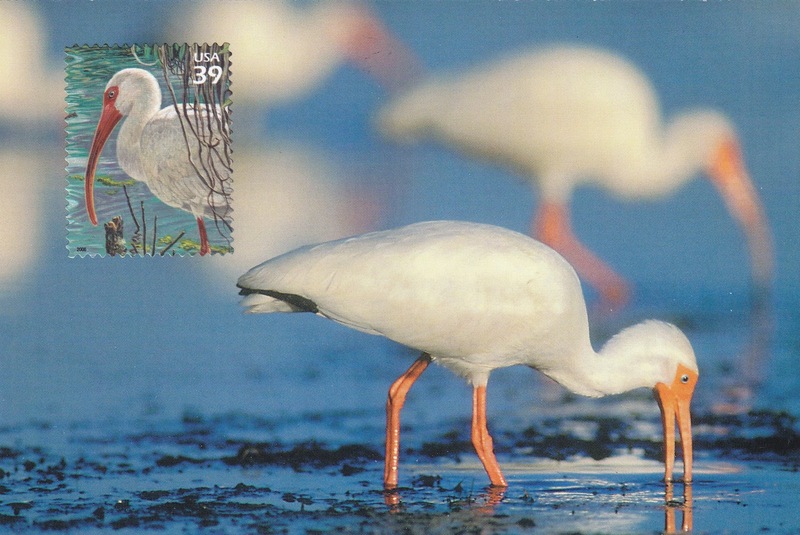 The 39 cent matching stamp was one of the South Florida Wetland stamps issued by USPS in 2005.